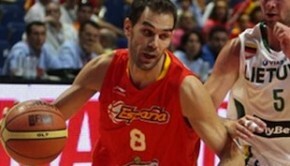 Spain Mens Basketball Team has made it to the finals after 24 years by defeating Lithuania 91-86. Spain will face the Redeem USA Team on Sunday. The game was very tight throughout the entire game with Lithuania mostly leading until the final quarter. 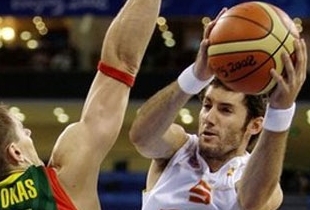 Pau Gasol and Rudy Fernandez were the leaders for Spain scoring 19 and 18 points. Spain was able to make very important free throws at the end of the game to secure a place in the Olympic Basketball Finals 2008! The game will be held on Sunday August 24th, so check your local listings for time. 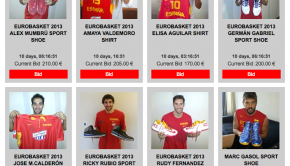 SPAIN, 91 (21, 19, 22, 23): Raúl López (7), Rudy Fernández (18), Jiménez (11), Garbajosa (8), Pau Gasol (19) -STARTERS-, Rubio (4), Navarro (-), Reyes (13), Rodríguez (2), Marc Gasol (6) y Mumbrú (3). LITHUANIA, 86 (19, 23, 24, 20): Jasikevicius (19), Kaukenas (11), Lukauskis (-), Siskauskas (7), Javtokas (15) -STARTERS-, Maciulis (-), D. Lavrinovic (-), Prekevicius (-), Jasaitis (19), Kleiza (-), K. Lavrinovic (13) y Petravicius (2).